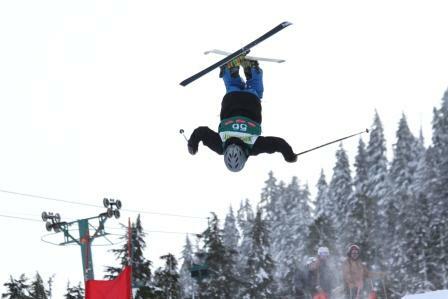 Ski competition in the Pacific Northwest, including Oregon, Washington, and Western Idaho is organized and conducted by the Pacific Northwest Ski Association (PNSA). PNSA and its' competitions are organized under the guidelines of the International Ski Federation (FIS) and US Ski and Snowboard. The Pacific Northwest Ski Association was originally developed out of the need for uniformity in all phases of ski competition. PNSA works with US Ski and Snowboard in establishing the eligibility and qualifications of competitors, setting standards and certifications for coaches and officials, and organizes clinics and training programs for Freeskiing. 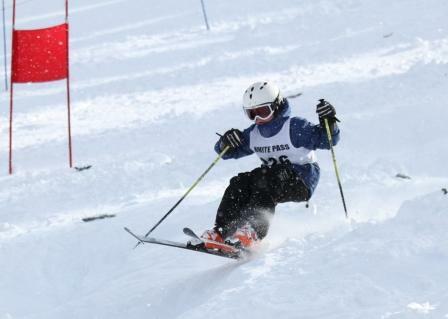 As a division of US Ski and Snowboard, PNSA plays a key role in all U. S. Freeskiing competitions. PNSA’s competition program is the first step for Freeskiing competitors to national and international amateur sports competition. PNSA is a non-profit organization and operates for the benefit of all PNSA and US Ski and Snowboard members in the Pacific Northwest division. To develop and maintain Freeskiing programs in the Pacific Northwest. To promote Freeskiing competitions among young men and women, and to encourage the formation of clubs and training programs in the Pacific Northwest. To develop an annual competition calendar of US Ski and Snowboard and FIS events to be held in the Pacific Northwest, and to oversee those same events, thereby, assuring a fair and enjoyable experience for all US Ski and Snowboard and PNSA competitors. To work with US Ski and Snowboard in providing competitors with a fair and understandable method of athletic advancement to PNSA, Regional and National competitions. Encourage physical fitness, intellectual development, and social growth through a commitment to excellence in all PNSA athletic events and educational programs. The administration of Freeskiing competition in PNSA is the responsibility of the Director of the Freeskiing competition committee. The Director, in turn, is responsible to the PNSA Board of Directors. The Director appoints a chairman of the competition committee who appoints various subcommittees to implement policy in their technical areas. PNSA’s athletic programs are designed and implemented by professional coaches and administrators as well as an active group of dedicated and knowledgeable volunteers. In addition, PNSA has direct input to the policies, procedures, and guidelines of US Ski and Snowboard through PNSA’S representation at various committee and subcommittee levels of the national organization. PNSA maintains a year-round office to support the needs of PNSA competitors, coaches, officials, volunteers, and clubs. The office disseminates important information regarding race schedules, racer qualification and selection to traveling teams, coaches and officials clinics, etc. The office is available to help all PNSA clubs and individuals.